Thank you SO much. It work perfectly and I appreciate you doing this for me. I'm love'n it! it's a .RAR complete with cues&covers. I was a bit Concerned with about eh down load because I think I have every one of your mixes. As I said I have a mac at home. I've tried serveral different Torrent programs and can't seem to make them work. At work all I did was down load Bittorrent and when ever I clicked on a dowlaod it automatically opened and started downloading. I guess it's just one of the curses of owning a Mac. I guess it's a mix I just won't hear. Sorry for the delay, but I'm planning to have all the mixes hosted on megaupload soon, so everyone can enjoy! But it 's a lot easier. oh DAMN!! CD 2 is hot.. Chicane, Art of Trance. Let you know what I think after I heard it!! Is there any way to get these mixes as HTTP downloads in mp3 format? i'm planning to get the rest hosted via HTTP soon, so please stay tuned. I am the numbrer one critic of electronic music, for me this two mixes are beauuuuuuuuuuutiful, the mixxx of MOO is a amazing break iiiiiiiii like, and the other of GT AND PROJECT C, is execellent, good selection of track and pretty final with the song of chicane, (i love this classic song).Needle to say that this two mixes are for the collection of my mind, congratulation masters. anyone know where i can find the track listing for GT vs Project C - Voices Of Trance (PM Mix, May 2005)??? i was streaming from here the other day and found my FAVOURITE tune in a set and haven't been able to locate the name. 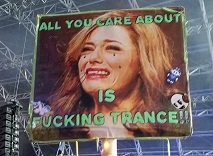 i think it's in the Voices Of Trance 2005 set. and is the Voices Of Trance 2005 set available anywhere? Anybody could up this at yousendit.com or something for me? Pweeeeeeeeeeeeeeease! DAMN, BOY!!! SPIN THAT SHIAAAT!!! MOOOOOO!!! Hope for you that you find what you're looking for. cue sheet not working for second hour. can this be fixed? this is one of my favorite sets and I'd love to be able to burn it to a CD with more than 1 track. These mixes are old, but it's awesome going back through and listening to them. The first hour is still my favorite DJ MOO mix. And GT&C's is just awesome as always.